English use just 44 sounds for you to practice. Practicing the 44 sounds will change your pronunciation and thus your ability to communicate more effectively with more people. You will contribute more and thus earn more. Work in groups and listen carefully giving feedback. Join your nearest Toast Masters club to practice and master speech craft with leadership skills in an organized, safe and congenial environment. Take ownership of your own and/or your teams KRA’s or KPI’s (KRI) to grow your returns on effort. Choose the right effort, get agreement and learn to say NO! This will help you understand key result areas. You will also be able to explain to your team in simple to understand terms what Key Result Areas are and how to apply them effectively. KRA’s are also known as performance management or communication and informing to maximise your INCOME!. Key results areas are also known as “Key Performance Indicators” or KPI’s. In the following text we explain what exactly key result areas are and how you apply kra’s in performance management. We aim to give you simple and practical answers in the form of a “Question and Answer” style of writing with some more in depth explanations and notes as we progress through the conversation. I often hear people in the company talking about Key Results Areas. What are Key Results Areas and what can I gain from it? To business managers kra’s mean business results dash board or key performance indicators. 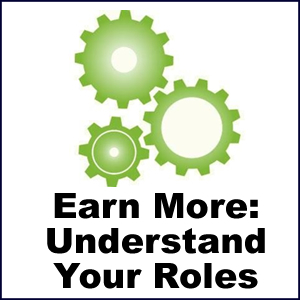 People in careers manage their careers by understanding and reporting on key results areas. All key performance areas focus on how business generates value to clients, the processes and your roles or functions. The answer is KRA is an acronym for Key Results Area in business or projects. Having clearly defined Key Results Areas enables you to take ownership of your business, team, career or job and to accept responsibility for those areas where achieving business and career results are your responsibility. Measure and communicate your progress during the year in terms of identified targets. Manage your skills development. Identify areas for development (skills gaps which exist). Contribute to the company’s wealth creation. Obtain timelycommunications and feedback that will allow you to stay aligned and change direction when needed. Promote an environment of alignment and self-management. Key Results Areas enable you to maximize the Contribution Zones (overlap) between yourself, the company and the customer, as well as the customer’s clients. Furthermore, it matches your individual aspirations with the company and customer requirements. The diagram below indicates the all-important area of overlap in which you can make Key Results Areas work for you. You need Key Results Areas to determine your EVA (Economic Value Add). What’s the difference between my position in the company, my roles and my tasks? Your function is your job title i.e. Sales Manager. Your roles are your different areas of responsibility. Providing technical skills training for other team members etc. Your function is defined by the key roles you play in terms of agreed success factors. Your roles tend to remain constant while your tasks may change in line with changing circumstances and targets. Ok, how do I go about defining my Key Results Areas? Ask yourself: My job exists to do what for whom? 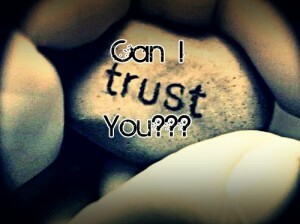 Why can I do it? Having your goals clearly defined makes it easier to change something along the way if this should become necessary. How do I go about managing my performance? Managing your performance will be no headache if you make the steps below a personal ritual that you follow conscientiously at regular intervals. Review regularly – Keep a copy in your diary. Has your job focus changed? Has the company changed focus? Drop unfocused Key Results Areas and add new ones. Are you on target to reach your goals? What can be done to assist you? Manage your relationship with your mentors. What would really help me is a tool that I can carry with me that will constantly remind me of what my roles are for the year, as well as the tasks they encompass. Oh yes, also the gaps that I have to work on to increase my competencies. To ensure that your Performance Management stays on track, keep a copy of the SMARTM process in your diary and refer to it regularly. When reviewing your KRA’s consider applying the White Hat and Black Hat thinking processes and don’t forget to inform others of changes. That’s exactly what I need to manage my contribution. Review your KRA’s at staff meetings. Review your KRA’s with your mentors. Having your goals clearly defined makes reaching them easier. It also enables you to identify areas of change. 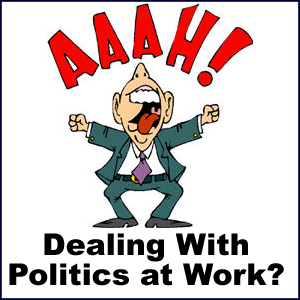 Take responsibility for receiving and giving input; this reduces management involvement. Faster growth with less management involvement results in increased effectiveness. My team leader said that Key Results Areas are central to an integrated growth plan and compensation. Some of the concepts I will mention are explained elsewhere in this book. At this stage only understand the big picture. Your integrated growth plan, and corresponding compensation is closely connected to managing your Contribution Zone. 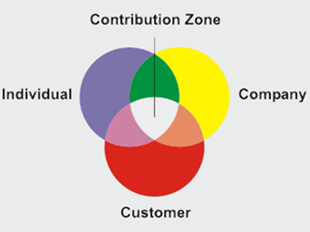 This zone is essentially the area of overlap between yourself, the company and the customer. Career focus: What represents your interests? Where are you going in terms of your chosen career path? Results focus: What represents the interests of the company? What results are expected from you? Are they agreed and communicated? Customer focus: How effective are you? How satisfied are your customers? The diagram below illustrates some of the mechanisms that will contribute to an integrated growth path. The process of arriving at your Key Results Areas contribute to clarifying and communicating the agreed results expected from you. Thereafter your Key Results Areas help you stay on track in terms of the results expected from you: your roles, functions and tasks.Tools mentioned here to measure your effectiveness, like the Balanced Scorecard and the Order Cycle, are explained elsewhere in this book. Update: Click here if you are considering a midlife career change. Find and grow careers of your choice or be able to change careers. Peer group leader makes money? Workshop for mobilized peer groups. PoE included. Then a peer group leader takes over workshops country wide. Readingsoft document for fluency in the career area. Get connected to companies with the work place of your choice. Grow in the work place of your choice. Sustain your knowledge by practicing the processes with people around you. Implement the following processes for a career you want or thought of. The processes will get you ready to search for your personal matched ideal career in an industry that is growing. The same processes are applied to any or all careers, study choices and changing careers! Once you experienced the process you can apply the processes to implement any choice or change in careers. 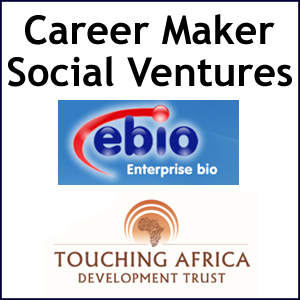 The www.ebio.co.za web site and services support you through your work life career growth and changes. Processes that get you ready to choose and enter any career. 1. Find access to the Internet. Access Internet by asking someone you know; someone you know who knows someone; a business in the nearest town or your municipality offices. Let a person who knows Internet help you search for information on the career you want at this time. Open an email, address it yourself and use the space to capture what you find. You will send it to yourself and Google will keep it safe forever. You will use the information by repeating the steps as you grow. You can grow by helping others do the same process you did. Once started any career, you can always change since you know how to. You will grow your knowledge, relationships in the industry of choice and start working – guaranteed! You will find all the tolls you require to bridge any gaps. You will formalize and accelerate your career with formal education. Examples for many careers are given. If your interest is not in the list, follow the procedure from any example while you use words describing your own interests. Use Google search – it is clean and does not bombard you with useless popups and interference. Let your guide help you with typing “Marketing careers” into Google search. Find sites that help you understand more about what it is you chose. Use the Dictionary site to understand all English words. Use Wikipedia to understand the concepts and learn more from the concepts mentioned on the web pages. Find books and magazines you can use in groups to learn from. Join the associations of your choice and learn with them. See extra processes on www.ebio.co.za that let you learn with commitment and easier. Use Google search and Telkom yellow pages to find real businesses in your area or nearest area where such businesses exist. Use the standard letter to ask them to be useful in basic services like cleaning, tool carrying, and coffee making. Do anything that will make you useful and them to like you! The letter includes your purpose is purely to be useful while you learn – it is not a job and has no risk of employment consequences to the business. Ask the people around you key questions about the work and the business to get involved and noticed while you learn. Contribute basic work “free so that you can learn” for a number of days at one business and move to the next business if you are not moving forward in learning. Observe what they do and ask them to show you to do it so that you can be more useful to them. Soon they will start paying you for being useful. You chose the job, the career and the business that you want to learn about working with people in business. Find a project to start marketing a local business, shop, organization and more! You find or meet people with similar industry interests to learn interactively with them. In groups you access sources of expertise and keep each other going. Peer group learning is a well known process – get ready for it and use it. On www.ebio.co.za you can identify gaps and bridge the gaps in language mastery, numeracy mastery, communication skills, self-exploration and much more! Look at criteria for most jobs on www.bls.org in the USA. With your email address you can signup on www.ebio.co.za – it is free! Signup on www.Treetopsouthafrica.com to get further assistance – it is free! The first coaching is included when you signup! 7. Repeat the processes for any career or career change. You grow your life income as you gain knowledge, experience and education. The effort you put in will be rewarded in higher life income. You should have found related careers on the web sites you choose. Find a career coach with the right relationships to develop your career and expand your career choices. Career Builder identified the essential career builder skills; use them to turn any career challenge into a career growth opportunity. When experiencing frustration or fear in your career use these emotions as opportunities to fast track your career growth; use them to pro-actively grow your career! Find a career coach ». Career Builder assisted and is still assisting thousands of people in their career growth. We worked with more than thirty entrepreneurs and coached them through the process of building successful running companies. We are still working with this group of entrepreneurs and their companies as well as a new group of young entrepreneurs. Any successful business takes seven years to build. Career Builder coaching processes are forged in the fire of building these successful businesses and the development of the people running them; these processes are being used in many other companies as well. Successful people and companies have a natural way of handling challenging situations. Career Builder observed, applied and understands this natural process. Career Builder’s Walk and Talk method of career coaching was developed working with the best. Studying at Harvard Business School (Owner/President Management program) we came to understand the application of these processes in companies even better. Some of the Harvard Business School case studies included companies like Hewlett Packard, Volvo, Taco Bell, PepsiCo and many others. In the early seventies we were exposed to and learned from Hewlett Packard’s company processes; later this knowledge were implemented in our own companies. We developed career coaching contracts and learned which processes worked and which did not. All these experiences with career coaching led us to the current simple set of skills we base our career coaching processes on. You can own and direct these processes to build your career. Work in a group when implementing these processes or take part in the Career Builder community forums; it always works best to implement a process with a group. The group can be directly or indirectly involved; or contact a Career Builder coach. A coaching session on delegation. An article on delegation written by a Career Builder coach. Get a career coach by becoming a “sort of” expert in their interests and talk to them about these interests. Find someone that loves the work you hate, delegate to them while staying responsible for this work. When frustrated, ask yourself what is causing the frustration? Address this challenge before it explodes. Successful company builders know that people can and should be stretched. Unre Visagie built many successful companies. He stretches the people that work with him in building these companies; people discover depths within them they never knew they had. The knowledge successful company builders have is to know when to stop expecting more from an individual and allow that specific growth curve to play itself out. The trick is that anyone wanting to grow their careers can apply this same “pressure” to themselves in building their own successful careers. Have a career builder attitude! Read more on creating your own compelling events and learn from a coaching session on deadlines and compelling events…. Actually the hole is only two meters deep, but you don’t know that because you only see the black opening! We are too afraid to jump into this hole simply because we know nothing of it. Finding a career coach with the right relationships to develop your career and expand your choices is a simple one; it might not be quick though. One will practice engaging different people for the skills and knowledge you require from them, through being of value to them. Over time one becomes practiced and comfortable with the process of engaging experts, using the necessary skills in a natural way. If you have not yet, read through the list of skills Career Builder identified as fundamental career skills. This list matured through years of career and business building. When working with an expert as a mentor, be aware not to fall in the trap of counseling. Get to know the expert’s environment. Following is a list of possible actions to take, add or remove actions that fit your unique situation. Read about the individual in books, newspaper, magazines and on the internet. Talk to others about the individual. What is this person interested in, hobbies, current projects, which topics is of interest to him/her? Strive to spend time within the circles where he or she spends time. Through gathering this information, always try to identify places where you will be able to add value to this individual. How would be able to make a positive difference to this individuals life? For example, the expert individual you would like to work with likes to build model aircraft. You are able to acquire such models at a discounted price. You have something of value to offer! Remember to always be professional in your approach! Build relationship in an open manner, don’t be clandestine about your dealings, you might look like a stalker! Talk to the expert every chance you get, share with them that you would love to learn from them. Ask how they think you would be able to add value them in exchange for their time. Always have a few suggestions how you would be able to add value. Ask for advice and practice your “expert acquiring” skills at our community forums. Find a career coach will grow and mature over the next months. Sign up for our Career Builder Ezine if you would like to stay up to date. Career Builder assisted and is still assisting thousands of people in their career growth. We worked with more than thirty entrepreneurs and coached them through the process of building successful running companies. We are still working with this group of entrepreneurs and their companies as well as a new group of young entrepreneurs. Any successful business takes seven years to build. Career Builder coaching processes are forged in the fire of building these successful businesses and the development of the people running them; these processes are being used in many other companies as well. Career Builder’s Walk and Talk method of career coaching was developed working with the best. Studying at Harvard Business School (Owner/President Management program) we came to understand the application of these processes in companies even better. Some of the Harvard Business School case studies included companies like Hewlett Packard, Volvo, Taco Bell, PepsiCo and many others. In the early seventies we were exposed to and learned from Hewlett Packard company processes; later this knowledge was implemented in our own companies. Successful company builders know that people can and should be stretched. Unre Visagie built many successful companies. He stretches the people that work with him in building these companies; people discover depths within them they never knew existed. The knowledge successful company builders have is to know when to stop expecting more from an individual and allow that specific growth curve to play itself out. The trick is that anyone wanting to grow their careers can apply this same “pressure” to themselves in building their own successful careers. Have a career builder attitude! What is this person interested in: hobbies, current projects, which topics is of interest to him/her? Through gathering this information, always try to identify places where you will be able to add value to this individual. How would you be able to make a positive difference to this individual’s life? For example, the expert individual you would like to work with likes to build model aircraft. You are able to acquire such models at a discounted price. You have something of value to offer! Remember to always be professional in your approach! Build relationship in an open manner, don’t be clandestine about your dealings; you might look like a stalker!